Kindle Fire HDX 8.9 was announced by Amazon on September 25, 2013 with Kindle Fire HDX 7. Compared to Kindle Fire HDX 7, Kindle Fire HDX 8.9 has a higher resolution display and pixel density and contains an 8-megapixel rear camera that shoots HD 1080p video which will give the user a more amazing experience of using. Kindle Fire HDX 8.9's screen is sharp with high color accuracy and high pixel density at 339 PPI, currently the highest of any portable tablet device commercially available. Kindle Fire HDX 8.9 is undoubtedly a very nice device for watching videos or movies since it has so high resolution display and pixel density. Kindle Fire HDX 8.9 Video Converter will help you in videos watching using this tablets because Kindle Fire HDX 8.9 Video Converter can convert many formats of videos such as AVI, MPEG, WMV, MOV, MP4, RM, RMVB, DivX, ASF, VOB, 3GP, FLV to the formats that Kindle Fire HDX 8.9 can support. Do you want to watch videos in Kindle Fire HDX 8.9 but have a headache for the videos that cannot be opened in Kindle Fire HDX 8.9? Then Kindle Fire HDX 8.9 Video Converter will be the best choice to solve these problems and let you watch videos. MP4, 3GP, VP8 (video playback at 720p), audio format Dolby Digital (AC-3), Dolby Digital Plus (E-AC-3), MP3, Non-DRM AAC (.m4a), MIDI, OGG, WAV, OGG, WAV, MP4, AAC LC/LTP, HE-AACv1, HE-AACv2, AMR-NB, AMR-WB, document format AZW, TXT,PDF, MOBI, PRC, DOC, DOCX, and images format JPEG, GIF, PNG, BMP. As above text mentioned, Kindle Fire HDX supports MP4 videos. But what if the format of your video is AVI, WMV or something else? Kindle Fire HDX 8.9 Video Converter will be a perfect converter to convert AVI or WMV or other formats to MP4 which can be supported by Kindle Fire HDX 8.9. 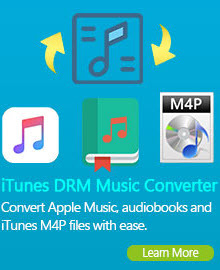 You can just add your files to the converter and select in the output profiles Amazon Kindle Fire HDX 8.9-inch MPEG-4 Movie or other profiles of MP4 format and then click Convert NOW. If your video formats are not 3GP which Kindle Fire HDX 8.9 supports, do not worry. Kindle Fire HDX 8.9 Video Converter will help you solve this problem in simply three steps: add your videos to the converter, select in the output profiles Mobile Phone 3GP Movie or other profiles of 3GP formats and then start converting by clicking Convert Now. Kindle Fire HDX 8.9 Video Converter gives you a chance not to be bothered by your video formats and enjoy the videos you want with ease. SyncDroid is a totally free software to backup and restore Kindle Fire HDX 8.9 with PC. With SyncDroid, you need only 3 steps to tranfer your videos and musics in the Kindle Fire HDX 8.9 to your computer with ease and vice versa. What's more, SyncDroid can automatically detect the device and install the drive needed after Kindle Fire HDX 8.9 is connected to the computer via USB cable. Tutorial :How to rip DVDs and convert them to Kindle Fire HDX 8.9? Please note: Pictures in the following tutorials are screenshots of Kindle Fire HDX 8.9 Video Converter Ultimate Version 5. Please first of all download and install Kindle Fire HDX 8.9 Video Converter Ultimate 5.5.0 version. Click "Add DVD" button to add DVD folder/DVD ISO file you want to rip to the main window of the program. Go to the upper right panel, and you will find Select output profile. Then choose Kindle Fire HDX 8.9 Video as output format from the drop-down list. Or you can choose "customized AVI/ WMV/MP4 movie" to customize video and audio options, such as Video Codec, Video Bitrate, Audio Codec, Audio Bitrate, Audio Channel, and Disable Audio in order to better enjoy the videos in the Kindle Fire HDX 8.9 Video. 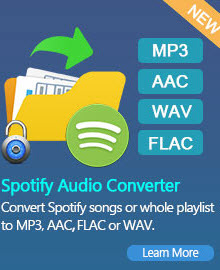 Click "Convert Now" Button to start conversion. Once the conversion is finished, you can click "Options>Output Folder" button to get the output files. Then connect your Kindle Fire HDX 8.9 with computer, import output videos into your Kindle Fire HDX 8.9, and just enjoy it! * Add iPad Air, iPad Mini 2, Kindle Fire HD, Surface RT/Pro, Roku Box as output profiles, support more output audio formats. * Optimize profile group and option panel. * Fix some DVD-video conversion problems. Apple encodes iTunes movies and TV shows with DRM protection. If you transfer the movies you downloaded from iTunes store to Kindle Fire HDX directly, you will find that the iTunes video file cannot read properly on it.